COLORADO SPRINGS, Colo. — Following a successful inaugural season, the USA Triathlon Super Sprint Series welcomes young aspiring elite triathletes in its 2014 opener on May 24-25 at the Richmond International Raceway, in conjunction with the new Rev3 Rush. Launched in 2013, the USA Triathlon Super Sprint Series showcases a unique triathlon format in the United States, providing an incredibly fast, spectator-friendly event. In Richmond, athletes aged 16-25 with aims of earning an elite license will have the opportunity compete in a USA Triathlon Elite Development Race (EDR) against current elite triathletes with a prize purse of $4,999 split evenly between the men’s and women’s fields. More information on future Super Sprint Series events to be announced. Elite and development competitors will first race in a qualifying round, scheduled for noon ET on Saturday, May 24. Each athlete will complete a 250-meter swim, 5-mile bike and 1.5-mile run. The swim will take place in two 25-meter portable pools in the raceway infield, with the bike course circling the race track and the run circling the infield. The top 30 athletes (15 men, 15 women) will qualify for a spot in the finals, which are set for 2 p.m. ET on Sunday, May 25. The finals will feature two continuous circuits of the 250m swim, 5-mile bike, 1.5-mile run course. The top-five finishers of each gender will earn a share of the prize purse. Additionally, top amateur finishers in the EDR may qualify for USA Triathlon elite licenses based on the size of the field. 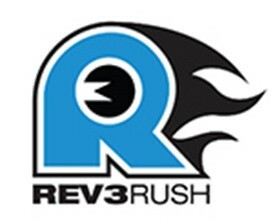 Rev3 Rush begins with age-group races slated at 8 a.m. on Saturday, May 24, and continues through the afternoon on Sunday, May 25. Athletes can opt to participate in one, two or three rounds on the super sprint course, with the top-eight recorded times in each age group qualifying for the finals on Sunday afternoon. Along with the age-group finals, Sunday afternoon will also feature a final round for the eight fastest qualifying men and women, regardless of age group, to determine the fastest Rev3 Rush competitors. Each of the three rounds will have competition options for athletes ages 7 and up, with heats of 15 athletes set to run from youngest to oldest. Youth in the 7-9 age group will complete a 100-meter swim, 2-mile bike and a .5-mile run, while athletes 10-11 years old will complete a 200-meter swim, 3.5-mile bike and a 1.5-mile run. Athletes 12 and older will race the same course as the elites (250m swim, 5-mile bike, 1.5-mile run), although they will only complete the circuit once. Age-group athletes will also have an opportunity to compete in two different relay events, with traditional relays scheduled for 6 p.m. ET on May 24 and mixed team relays at noon ET on May 25. The mixed team relay portion of the event is part of USA Triathlon’s new Mixed Team Relay Series, created to expose more athletes to the exciting four-person format. More on the Mixed Team Relay Series is available at usatriathlon.org/mtrseries. In addition to the non-stop racing action, athletes and spectators will be entertained with a festive environment filled with music, rock climbing wall, mechanical bull, monkey motion, pit crew challenge, remote control car races and much more. More information, including how to register, is available at rev3tri.com. About Revolution 3 Triathlon The REVOLUTION3 Triathlon race series was created to change the way athletes, family members, and spectators view and participate in triathlons of all distances. One of our immediate goals is to make triathlons a more interactive, enjoyable experience for spectators by providing fun activities for children and family members during the race. REVOLUTION3 Triathlon is about change! Change for the age-grouper, change for the professional athlete and change for the spectators. For more information or to register for a Rev3 event, please visit rev3tri.com. About USA Triathlon Founded in 1982, USA Triathlon is proud to serve as the National Governing Body for triathlon – the fastest growing sport in the U.S. Olympic Movement – as well as duathlon, aquathlon, aquabike, winter triathlon, off-road triathlon and paratriathlon in the United States. USA Triathlon sanctions more than 4,300 races and connects with more than 550,000 members each year, making it the largest multisport organization in the world. In addition to its work with athletes, coaches and race directors on the grassroots level, USA Triathlon provides leadership and support to elite athletes competing at international events, including International Triathlon Union (ITU) World Championships, Pan American Games and the Olympic and Paralympic Games. USA Triathlon is a proud member of the ITU and the United States Olympic Committee (USOC).